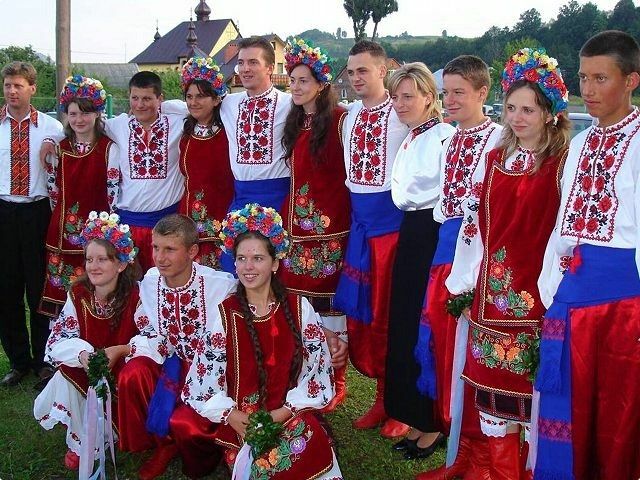 More than 92% of Ukrainian citizens consider themselves ethnic Ukrainians, while a mere 5.5% identify themselves as ethnic Russians, according to a survey conducted by Gorshenin Institute in cooperation with Friedrich-Ebert-Foundation in Ukraine and Belarus. The younger the respondents, the more often they position themselves as Ukrainians, Gorshenin Institute expert Svitlana Balyuk said, presenting the sociological survey "Ukrainian Society and European Values" on October 24. Some 98.3% of the respondents in the western region identified themselves as Ukrainian nationals, the findings in other parts of Ukraine were the following: 94.8% in the north, 94.2% in central Ukraine, 87.5% in the south, and 84.6% in eastern Ukraine. The recent population census in the country was conducted in 2001, when 77.8% of citizens of Ukraine identified themselves as ethnic Ukrainians, while 17.3% considered themselves ethnic Russians. Read alsoOnly 5.5% of Ukrainian citizens consider themselves "Russian" – surveyThe poll showed that 55% of those who call themselves Russians consider themselves to be citizens of Ukraine. A quarter of them identified themselves as citizens of the former USSR. Noteworthy, they live in the east of Ukraine and aged over 60. Over 60% of respondents say they speak Ukrainian, while 37% speak Russian. However, the fact that residents of the occupied areas, which are mostly Russian-speaking, did not participate in the survey could have significantly changed the final result. Director of City Institute, a Lviv-based analytical center, Oleksandr Kobzarev says that the proportion of Ukrainians in the country has not changed much in the last hundred years since 1900. "Despite the Holodomor (artificial famine in 1932-1933) and other events, the share of those who identified themselves as ethnic Ukrainians in Ukraine has remained unchanged, and the share of Ukrainians has increased significantly over the past few years, which is a direct impact of the ongoing war [with Russia in eastern Ukraine]," he said. The "Ukrainian Society and European Values" survey was conducted in April-May 2017. Some 2,000 adult respondents were interviewed in all regions of Ukraine (without taking into account the occupied areas of the Autonomous Republic of Crimea, the city of Sevastopol, as well as Donetsk and Luhansk regions). As UNIAN reported earlier, according to a poll, Ukrainians trust civil volunteers, the church and the Armed Forces of Ukraine most, while less than 50% of citizens have more confidence in non-governmental organizations, the border guard service and the Ukrainian media.